Book an economic private taxi from Malaga airport to Antequera with our transfer services filling in the form on the top. Distance from the airport: 61 km. 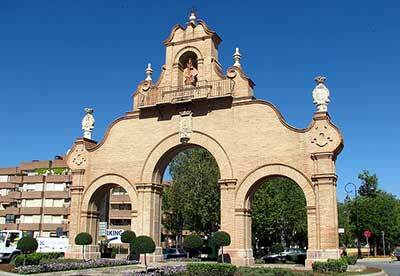 The municipality of Antequera is one of the largest in Andalucia and the largest in Malaga. The city has many impressive monuments, plus an enviable natural setting, a combination of factors that make it one of the most popular destinations of the province of Malaga. 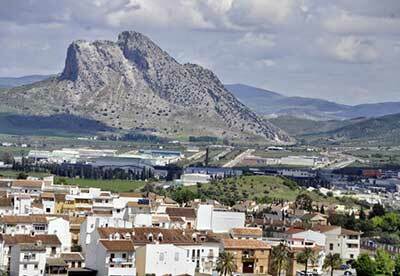 Antequera lands cover a large area of ​​over 700 km2, and the city regularly inhabit more than 41,000 people. The transport is in good health, with two train stations, several bus services and a modern road network that connects with Malaga and other destinations. In terms of natural environments, the municipality has excellent marks due to the proximity the Torcal de Antequera, where you can encounter some of the most beautiful mountains in Andalusia. El Torcal is a worthy example of karst landscape thanks to the various agents of erosion that shaped the limestone. In Antequera there are important monuments which include: The Arch of the Giants which is a sixteenth century building; the Alcazaba of Antequera, a beautiful walled Moorish monument with four towers: Torre del Homenaje, Torre Torcida, Torre Albarrana de la Estrella and Torre Blanca; City Museum and the Museum of Uses and Customs of San Benito; the Bullring and the Estepa Gate from the XVII century located on a roundabout near the great Bullring of Antequera. There are also a large number of churches and religious monuments within the city of Antequera: The Collegiate Church of Santa Maria is the largest in the city, a building of incredible Renaissance architecture, whose construction makes us travel to the sixteenth century. 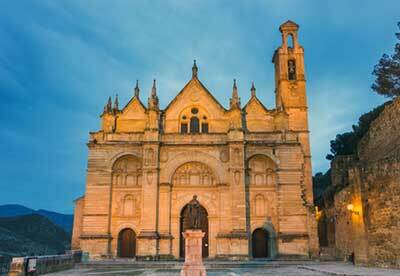 Others are the collegiate church of San Sebastian, the convent of Belen of the seventeenth century, the Basilica of Santo Domingo, the church of Santa Maria de Jesus, the Portichuelo Chapel, St. Joseph Convent, among many others. 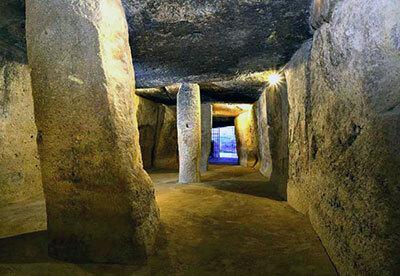 Just outside the town were discovered the Dolmen of Menga, the Viera Dolmen and El Romeral Dolmen; the three fascinate by their peculiar and mysterious structure created beyond 2500 BC and it is believed that they served as burial chambers. To complete your interesting tour of Antequera there is the so-called Lobo Park (with living wolves), and the Peña de los Enamorados (Rock of the Lovers) whose name was taken by the tragic story that took place in the rock between a Christian man and an Arab woman. Strolling through Antequera means discovering good restaurants, shops, a large number of monasteries and other points of interest that are recommended to see on your visit. Also if you want you can do shopping at the mall La Veronica. Except beaches that characterize the Costa del Sol, Antequera has everything a tourist looks for during the holidays, do you need a private taxi from Malaga airport?